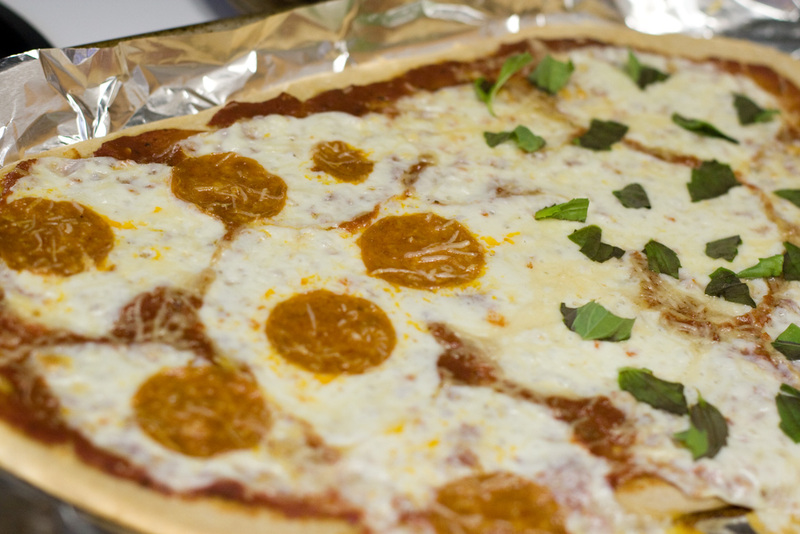 One of the reasons we usually have pesto pizza instead of regular red is because, up until recently, I hadn't found a red pizza sauce recipe I loved. They were all too sweet or too boring or had a weird texture. Aaron hasn't been able to stop raving about my pizza lately and the only thing I'm doing differently is this sauce so I'm guessing that's what he's talking about. This makes enough for 2-3 pizzas (depending on how big your pizza is and much sauce you like). Store it in a tupperware in the fridge (although, I'd really like to try canning some and storing it away for winter pizza making). I've never actually measured the amount of spices I put in so this is kind of my best guess. I always eyeball it and it turns out just fine. It does have a bit of a kick so if you're sensitive to spicy foods you might scale back the cayenne and crushed red pepper. But I can handle this sauce and if I can then you probably can. I'm a wimp. Cayenne? Wow. I'ma have to try this asap! Yum-o. Oh my, I am super excited to try this one out! Like you, I dislike most "red sauce" I come across so I think this will be a great experiment! Yum - thanks so much!! I am always looking for ways to make it myself, but have not found a way to make pizza sauce! I'm saving this recipe for the next time I make homemade pizza..it looks delicious! YUM. now i want some pizza. Droool. I love homemade pizza!